Klose & Soan - Matt & Sam - are the latest chefs to take over the kitchen at the wine bar Unwined in Tooting, cooking Thursdays to Sundays until the end of April 2019. The pair have been working together for about six years, including being chefs at Frank's rooftop cafe in Peckham, and are bringing a modern British menu to Tooting, using great produce. Really tasty food from great chefs! 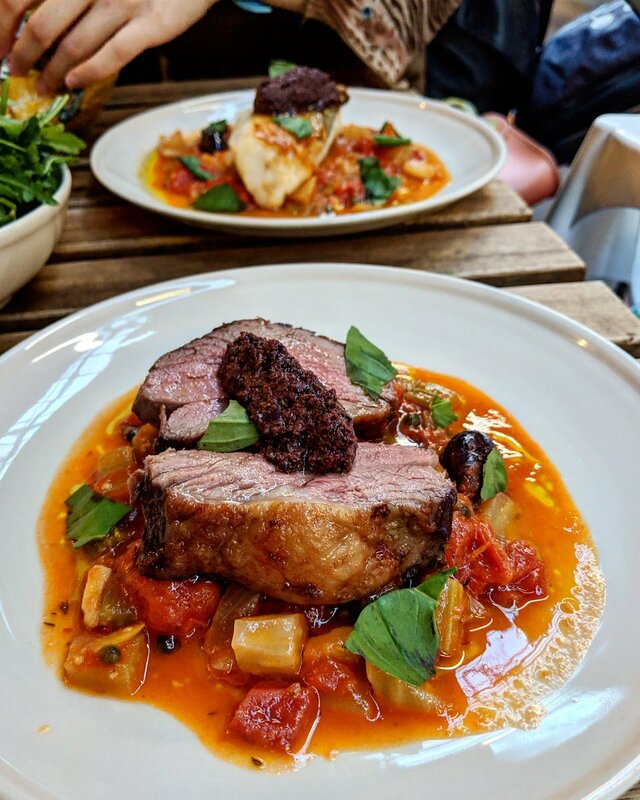 "Klose & Soan are cooks and caterers for hire - a partnership between chefs Matt Klose (formerly Grub London) and Sam Soan (previously Head Chef Camberwell arms & Franks cafe). We are two friends and colleagues bringing our combined experience & passion in both the restaurant and event catering worlds to create something new and fresh. Our ethos is simple, to use the best seasonal produce we can to cook creatively, sustainably and collaboratively. For us nothing can beat the very best ingredients treated simply and with skill. We aim to bring our unique style of refined yet unfussy, rustic and delicious food to any event. We cater for events ranging from corporate canapé receptions, large scale banquets, weddings and intimate private parties. Also keep a look out for our pop up restaurant nights, kitchen residencies and street food stalls across London."